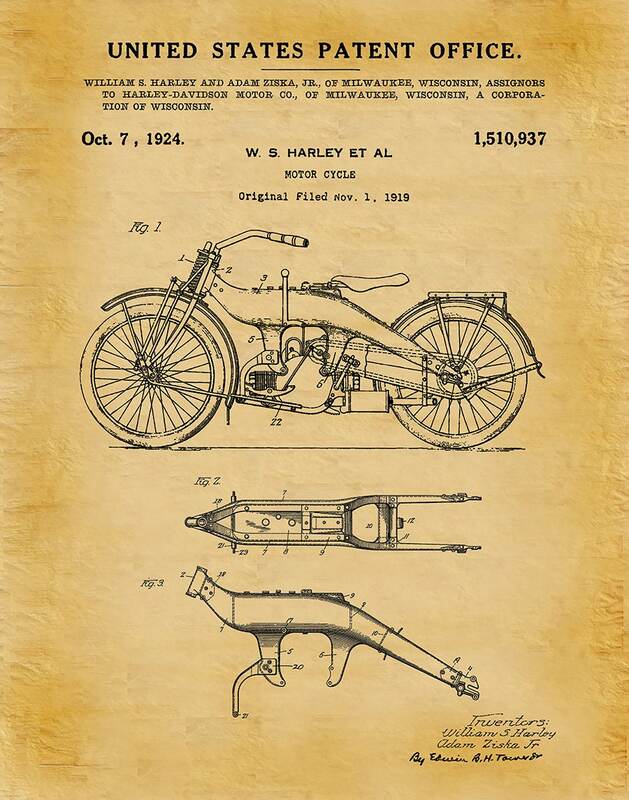 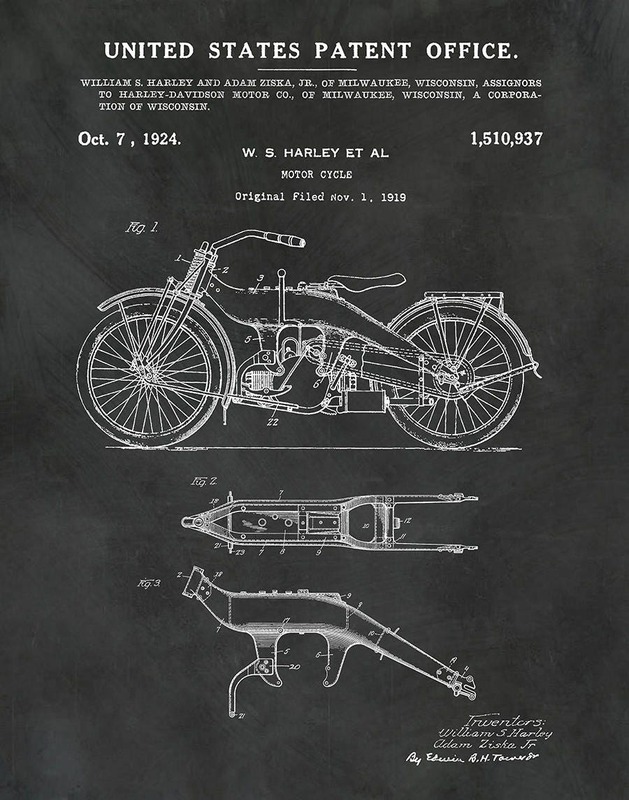 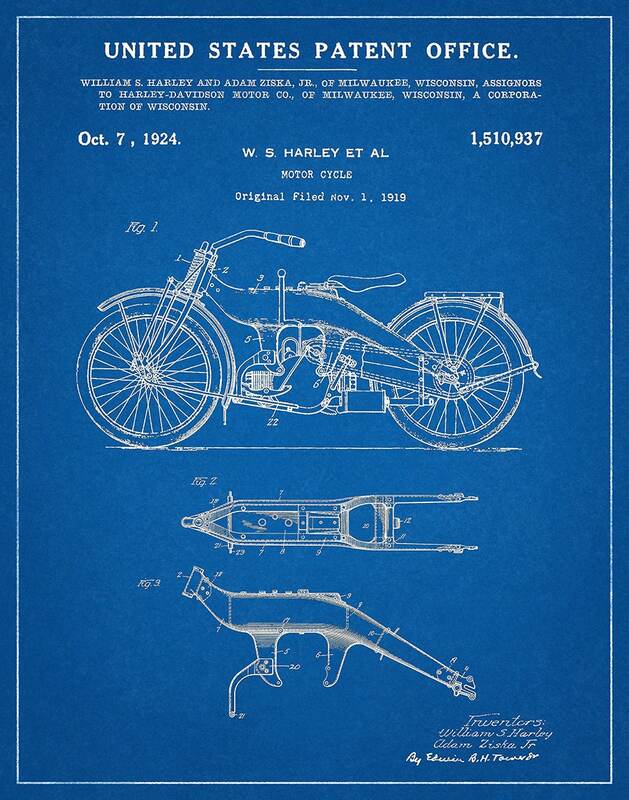 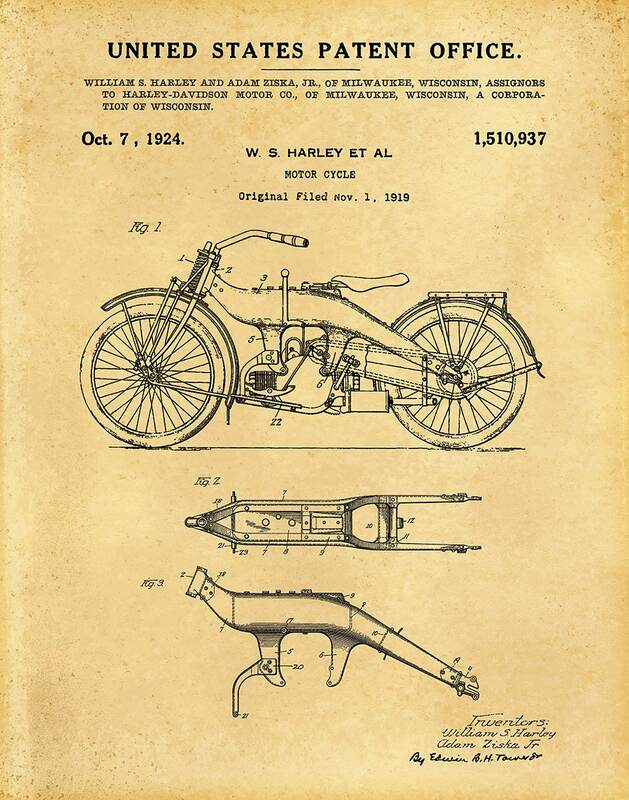 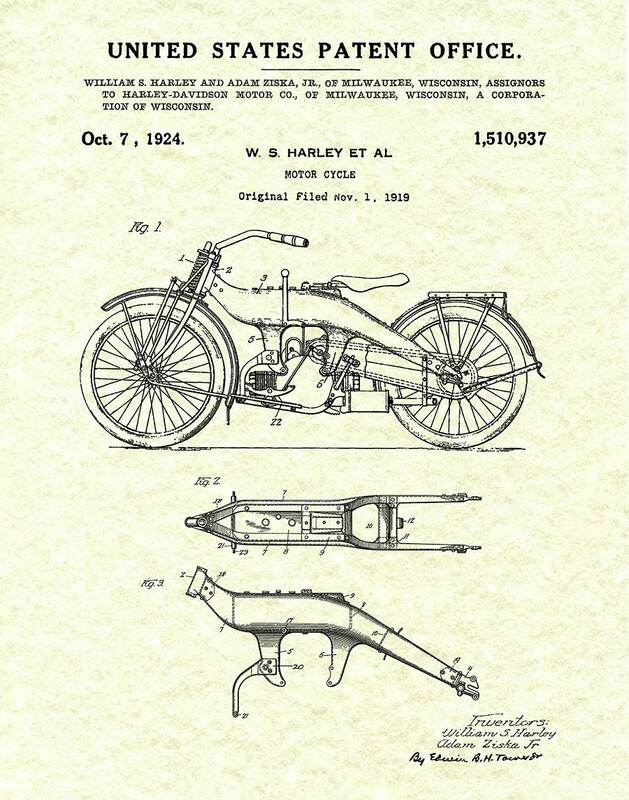 1919 Harley Motorcycle Patent designed and signed by William S. Harley. 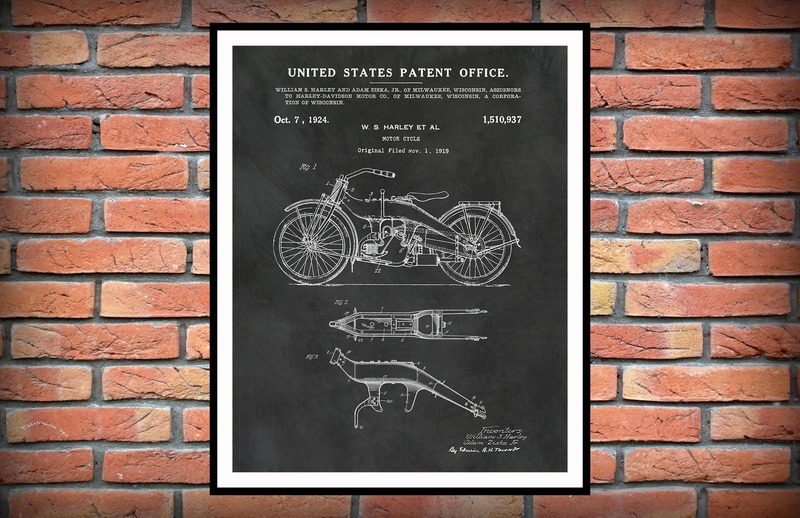 The patent was applied for on November 1, 1919 and issued by the United States Patent and Trademark office on October 27, 1924. 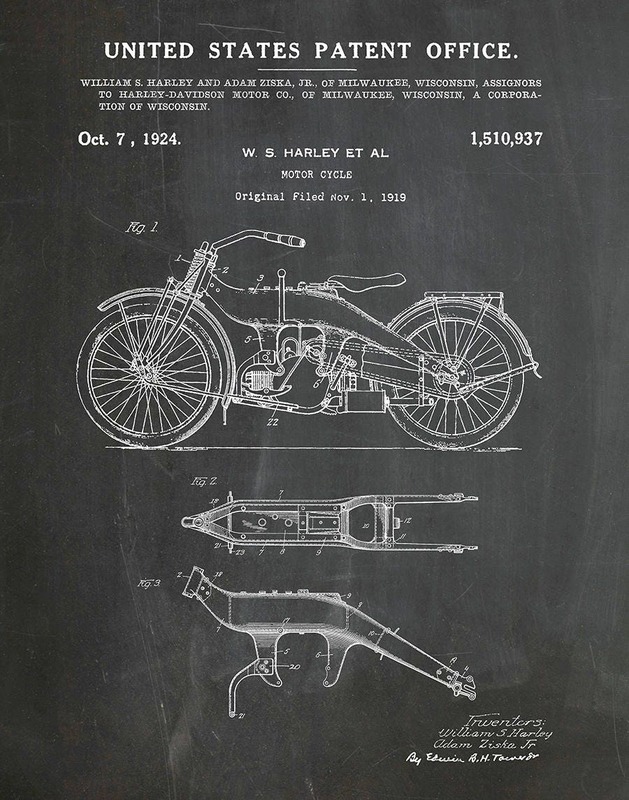 Many computer monitors vary in color calibration, therefore your print may have a slight difference from what your see on your screen.